Saturday 19th May was a huge weekend for the UK. With people all over the world turning on their televisions to watch Harry and Meghan tie the knot, it was near enough impossible to walk down Lothian Road without hearing someone else talking about the wedding! 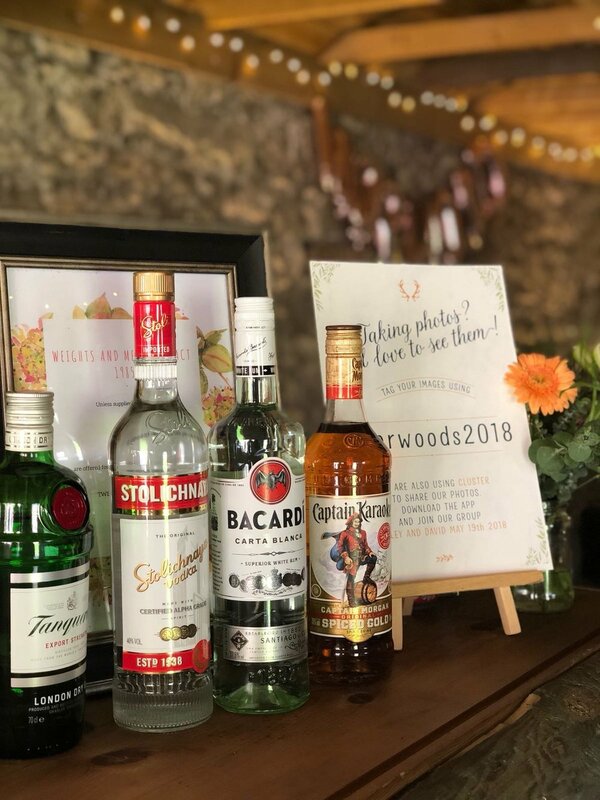 For Team Pantry Events, this was also a massive weekend where we had not one but THREE weddings to look after, each one completely different from the others. Similar to the Royal Wedding, weeks of preparation, discussion and planning had gone into the execution of each of these weddings and it had come round a lot quicker than we had ever imagined. Starting in Edinburgh, we were at Portobello Town Hall for Stacey and Phil’s wedding. Stacey was a massive Pantry family fan and had even asked for three takeaway Sunshine on Leith breakfasts from our latest addition, Finn and Bear. 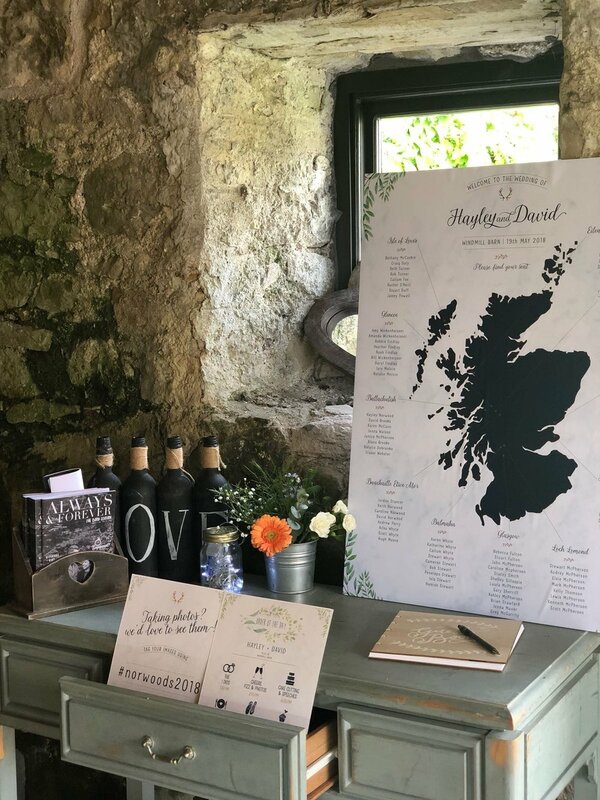 We love it when we get enquiries from couples who have supported the restaurants so it was great to hear that our Sunshine on Leith would be the perfect start for the couple’s big day. 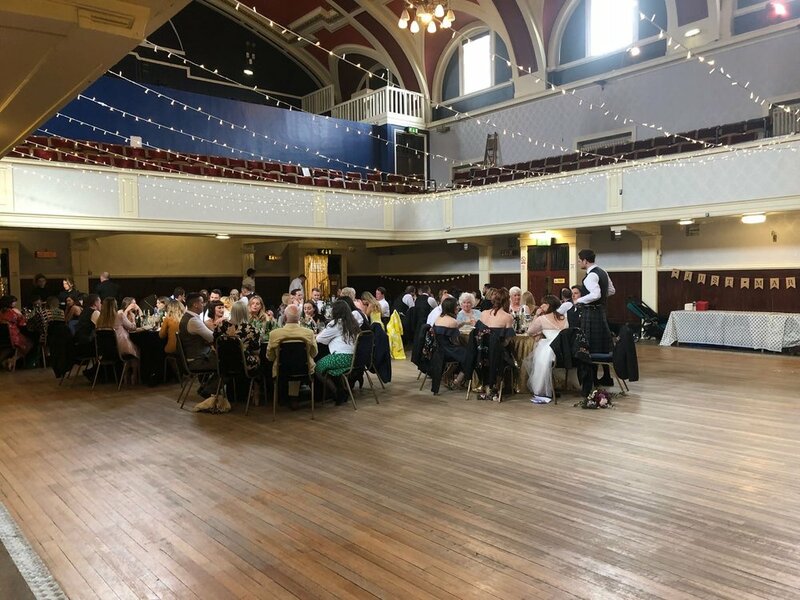 Stacey and Phil were married offsite and arrived at Portobello Town Hall for their canapé reception. 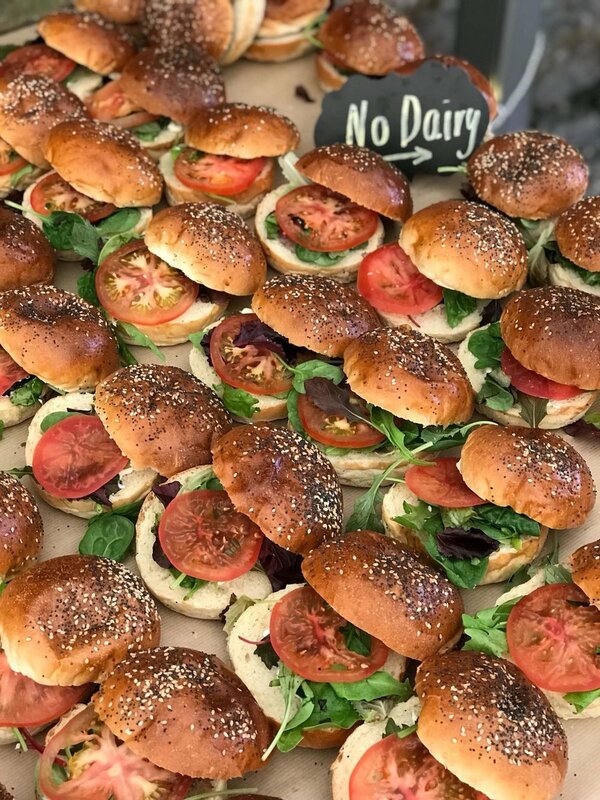 They had chosen arancini, meatballs and sausage rolls for their canapés, these are always a massive hit at our weddings and they were all really enjoyed by the guests. The meal can only be described as a taco feast. Picture bowls of guacamole, salsa, sour cream and slaw all lined up on the tables to go with chicken tingha or sweet potato and feta tacos - yum! Next up, just over the Queensferry Crossing, we had David and Hayley at Windmill Barn. The couple had a lovely outdoor ceremony in the sun and then it was straight into party mode! The wedding reception was held outside with buckets or Corona, ‘Pimp my Prosecco’ stations with candy floss and fresh fruit and giant garden party games like Jenga! The table decoration was simple yet effective with lit up gin bottles and glass bottles filled with wild flower arrangements. For dinner, David and Hayley had chosen our table picnic (word on the street is that Harry and Meghan had something similar!) 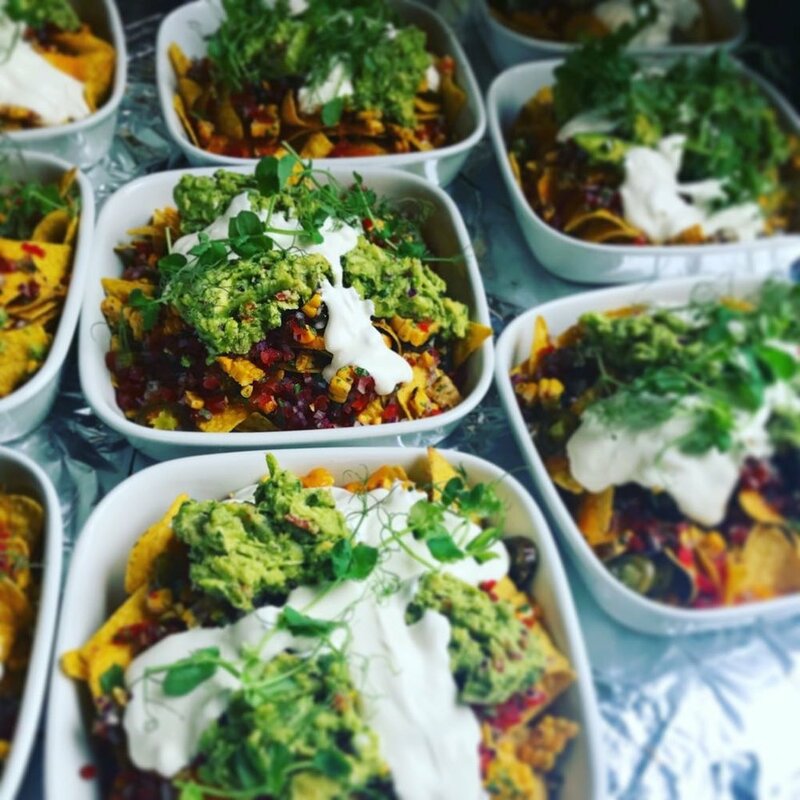 They had chosen nachos as an addition to their starters, any wedding meal that includes nachos is going to be a hit with guests! For mains, David and Hayley had chosen quesadillas and bang bang chicken - a Japanese street food. The party continued on after dinner and even had an appearance from Saltire Beat - the groom was part of this wedding band and they absolutely smashed it! Our busiest weekend ever wouldn’t be complete without a visit to Cow Shed Crail would it? Team Pantry headed up to Crail for Jen and Sam’s wedding. The Pantry Man had very much been looking forward to getting the BBQ out for this one and it was definitely BBQ weather! Jen and Sam had their ceremony outside followed by a reception that included a scone station! For dinner, the menu included burgers (is it even a BBQ without them?! ), quesadillas and halloumi fries. The meal reflected the informal, relaxed, summery vibe that the couple had been looking for and it worked so well at Cow Shed. Dinner finished, dancing started and later on, pizza was served for evening grub! The perfect end to an amazing menu! All of this and we still had the three restaurants and two private functions happening in Edinburgh! Congratulations to all of our couples from the weekend!